In a large pot of boiling salted water, cook the corn for 3 minutes until the starchiness is just gone. Drain and shock in ice water to stop the cooking and to set the color. 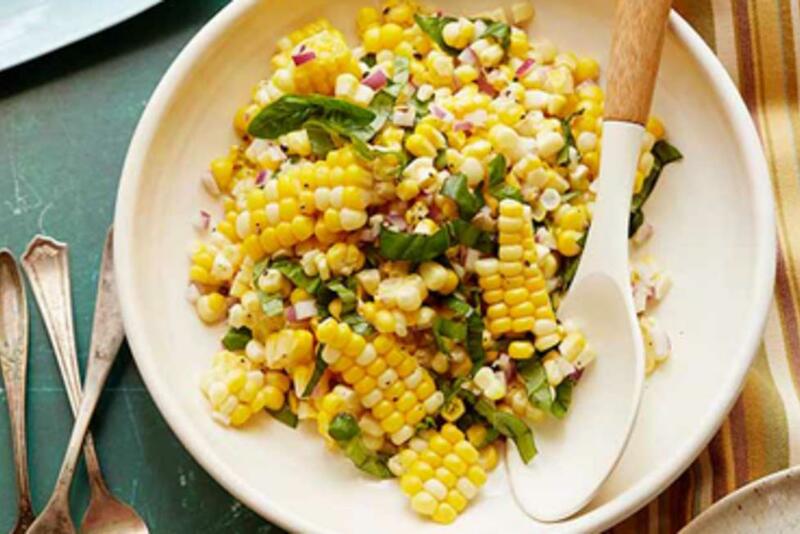 When the corn is cool, cut the kernels off the cob, cutting close to the cob.